Overseas Filipino Workers (OFWs) are often the victim of scams because of the fact they are earning big while working abroad. News about OFWs being dupped in social media is not new in our society where Facebook or other social media platforms are part of our lives. In spite of repeated warning to all people particularly to OFWs to be very careful in investing or trusting people you meet online, still, there are some who become a victim of fraud. 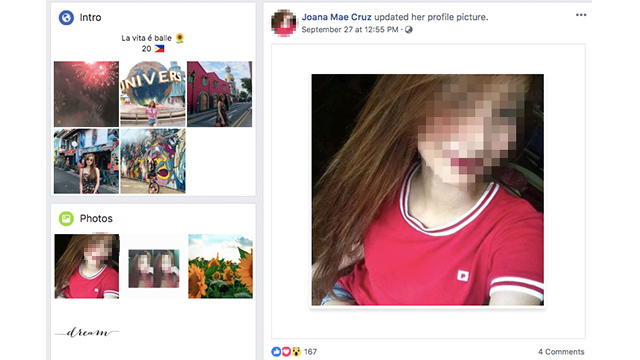 A police from the Anti-Cybercrime group said that Egea met a certain Joana Mae Cruz on Facebook and he fell in love. Through chatting, it said that her online girlfriend is asking money for her tuition fees, gifts, and personal needs. Egea came home from abroad on September 5, 2018, and so excited to finally meet her girlfriend in person. But the girlfriend keeps making excuses to avoid meeting the seaman. 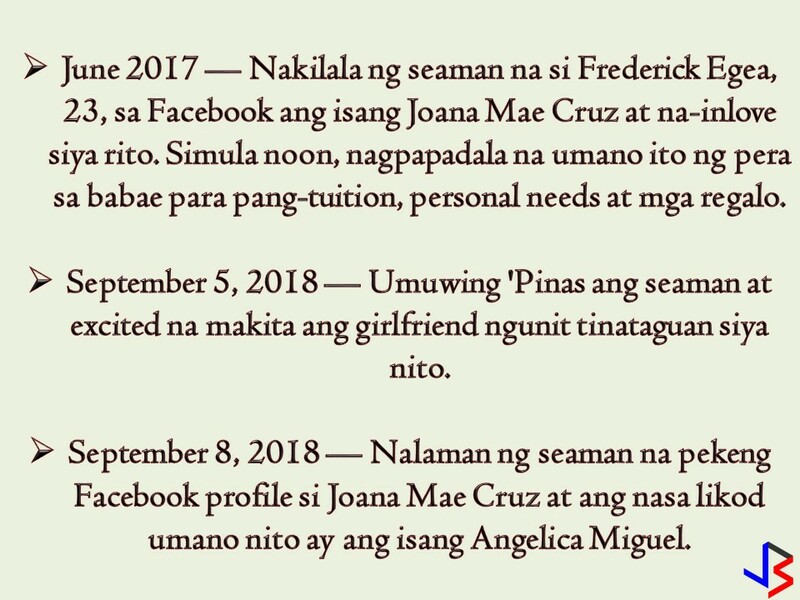 On September 8, Egea found out that the Joana Mae Cruz he knew in Facebook is a fake profile. And the scammer behind it is the 21-year old Angelica Miguel who admitted her mistakes to him. The investigation reveals that the scammer uses the photos of a certain Angelica Calanog on Facebook without the permission of the later. According to Calanog, Miguel is the leader of her supposed fans on Facebook. Miguel even sent her gifts, flowers, clothes, and even went to her house in Quezon City for the offerings. 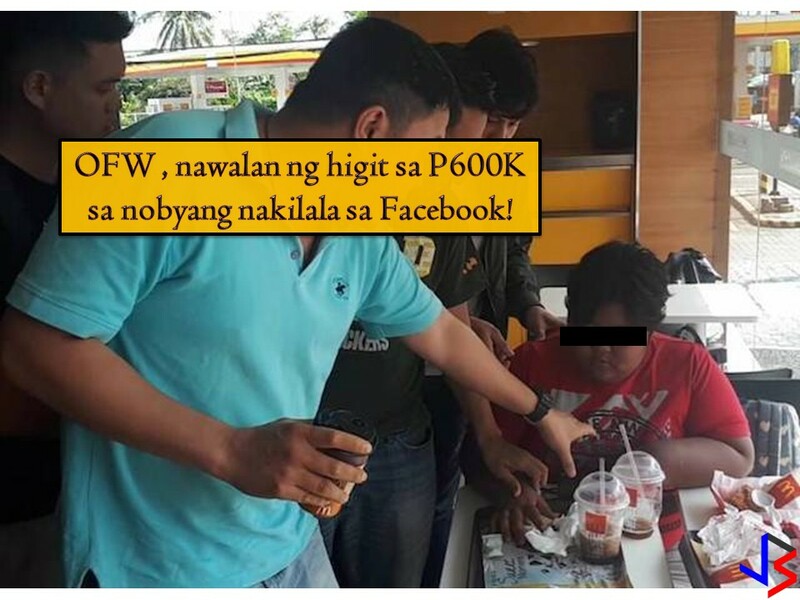 Accordingly, Calanog was clueless that a Facebook profile with her photos was being used to extort money from an OFW. 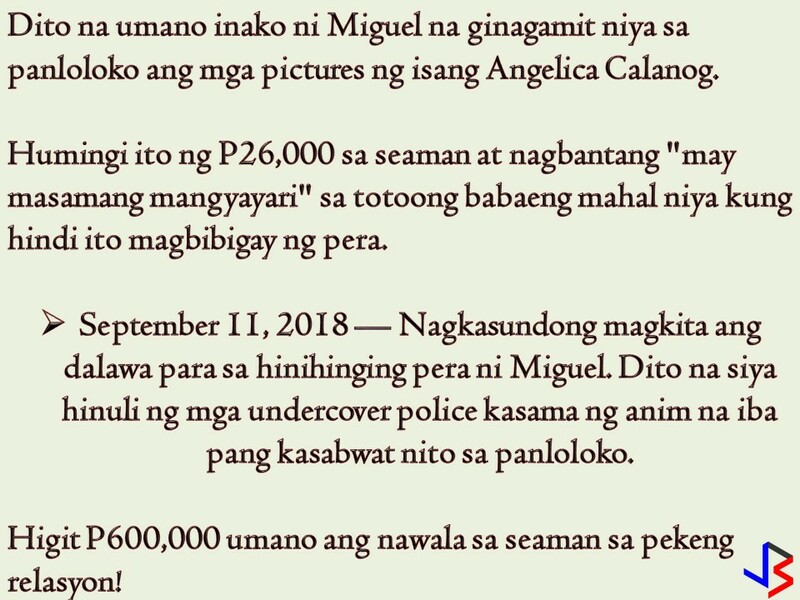 When Miguel admitted that he is only scamming the seaman, she even demanded P26,000 from him and issue a threat that "something bad will happen" to the real girl he loves if he will not give the money. Egea agreed to meet up with Miguel at the McDonald’s of Ever Gotesco Mall along Commonwealth for the exchange. What she did not know is that Egea comes with undercover cops. 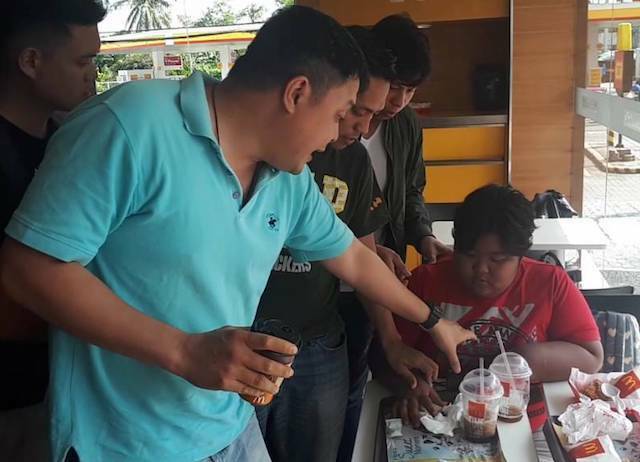 The alleged scammer was arrested together with her six other cohorts. They are now facing charges. This article is filed under online fraud, online scam, fake Facebook account, social media, Filipino seaman, and fraud transactions.